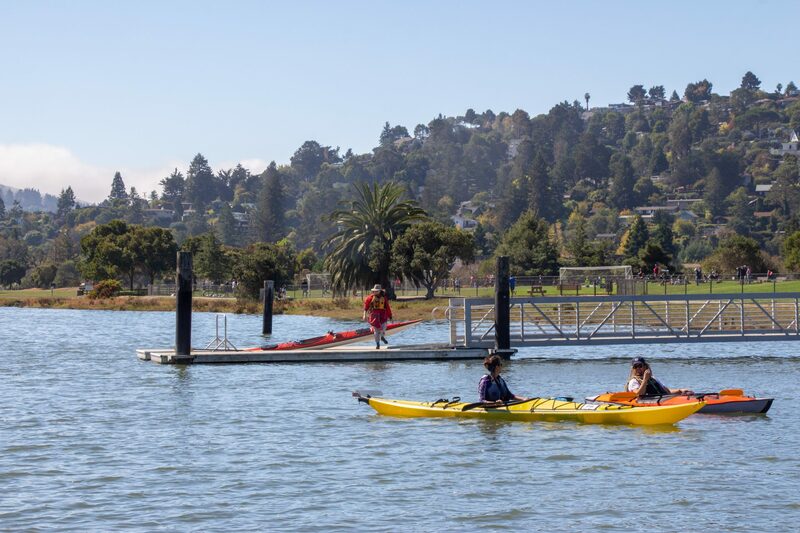 The Bayfront Park boat launch provides a popular new launch for paddlers with its high quality facilities and exceptional bird watching. 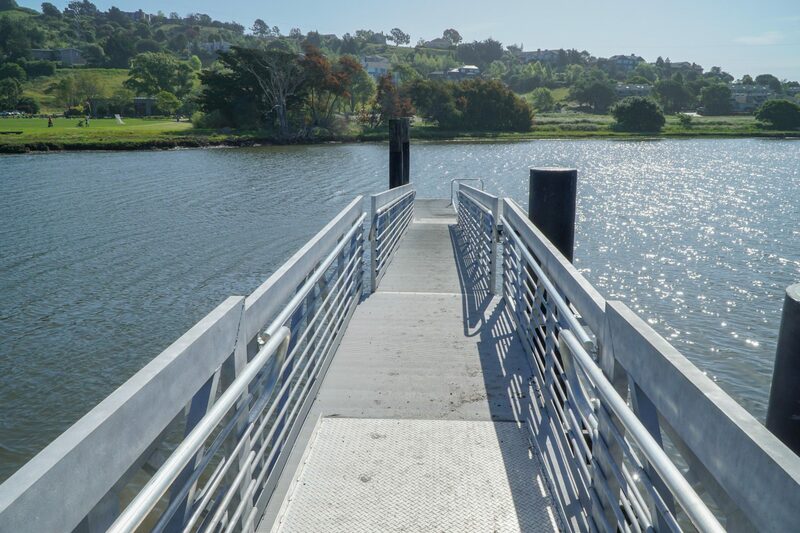 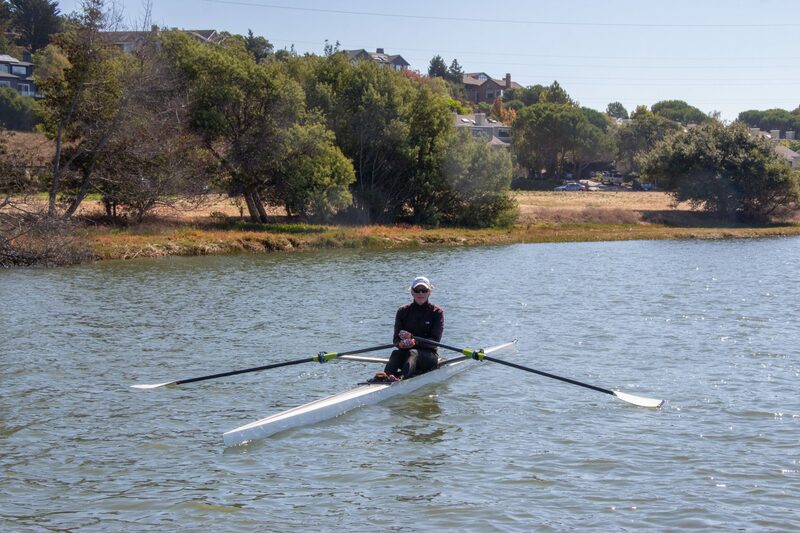 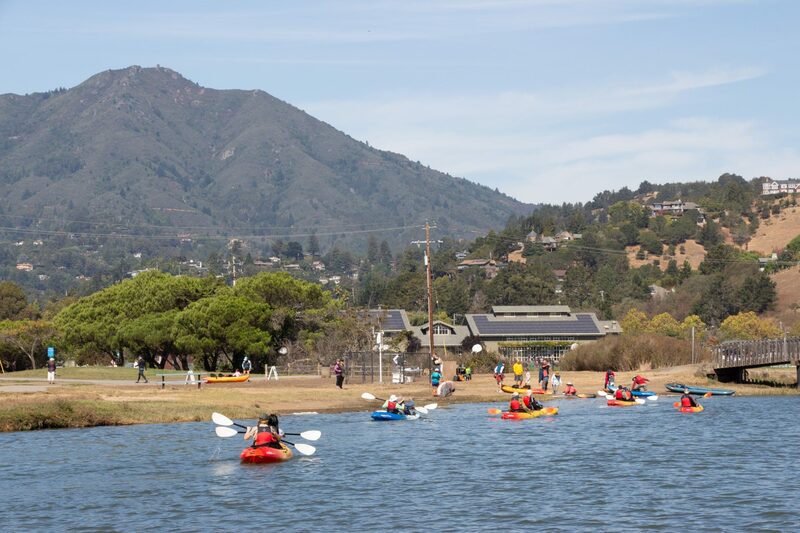 The redeveloped public boat launch and amenities amenities in Bayfront Park allow visitors to experience and learn about habitats of Richardson Bay. 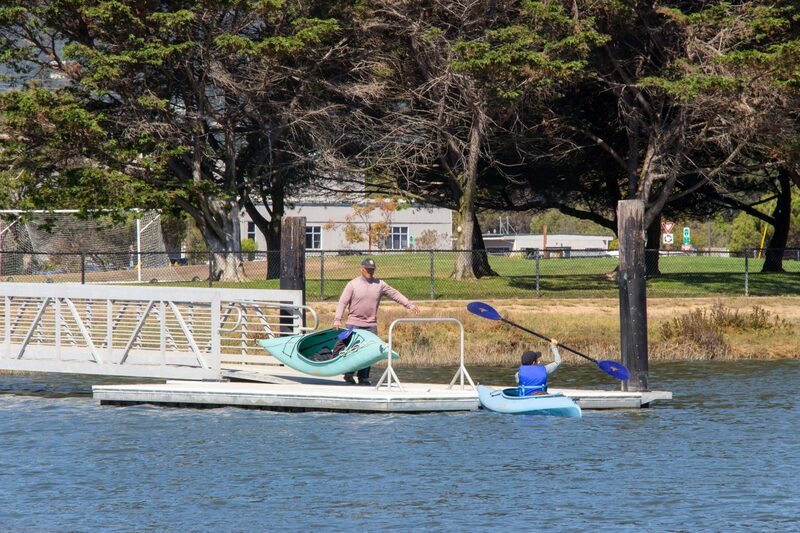 This launch is not usable at most low tides! 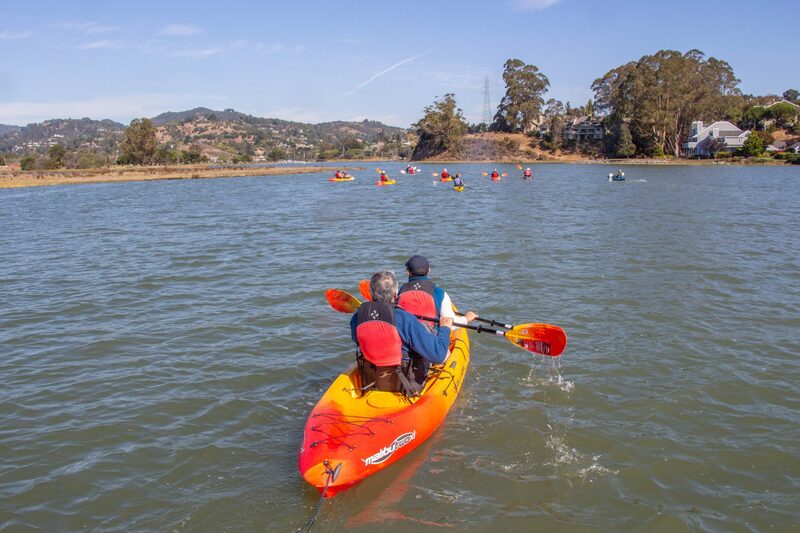 Paddlers must be aware of tides during launching and when they plan to land to ensure not to get stuck in the mud. 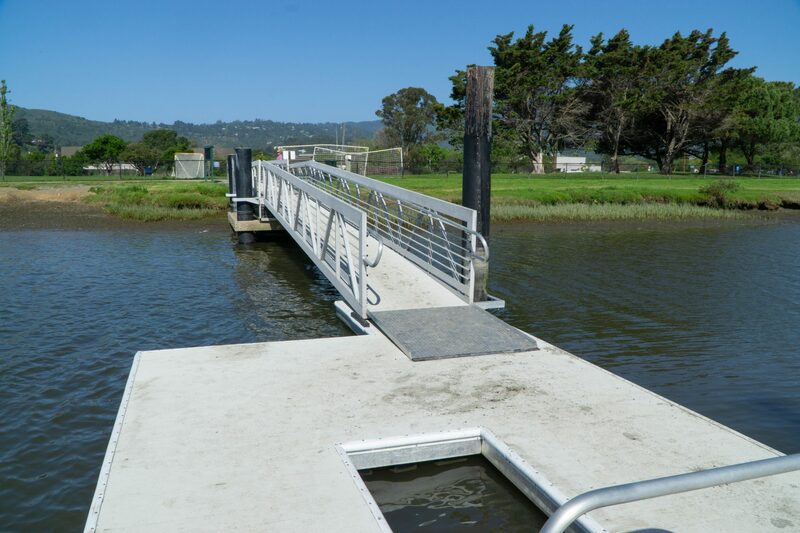 Water access facilities include an ADA gangway that leads to a low-freeboard dock with a kayak cut-out and a grab bar. 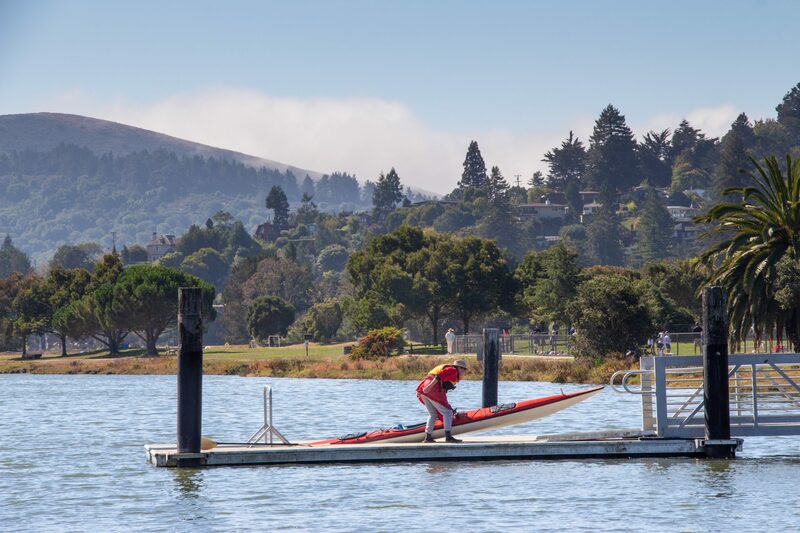 The launch facilities are located approximately 1/8-mile from the primary parking area. 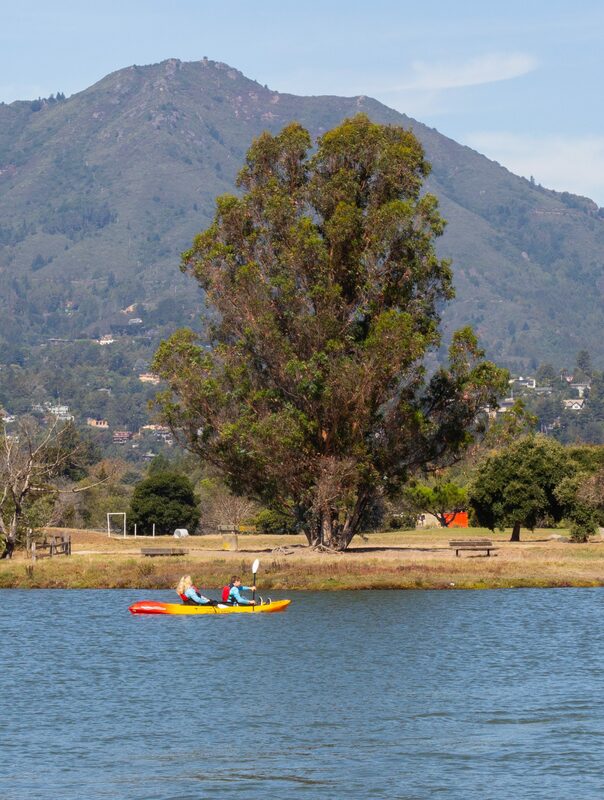 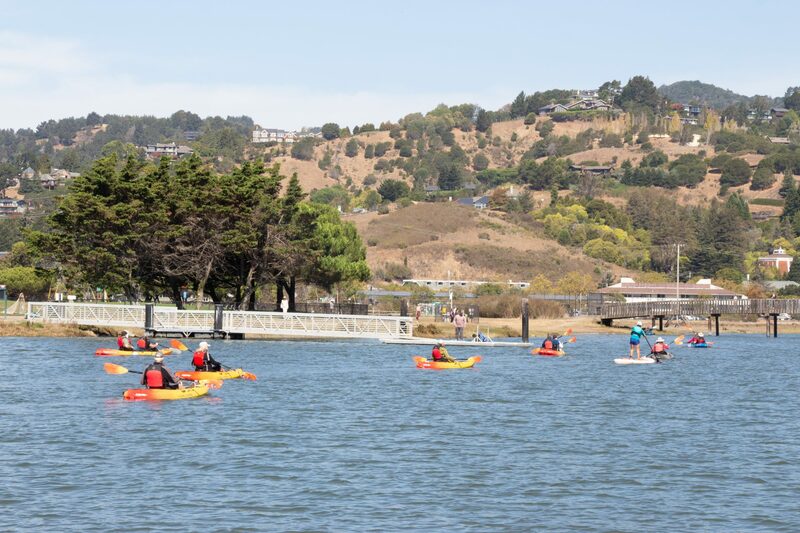 Due to the distance from the parking area, it is anticipated that most use will be by kayakers, canoers, and SUPs to explore Richardson Bay. 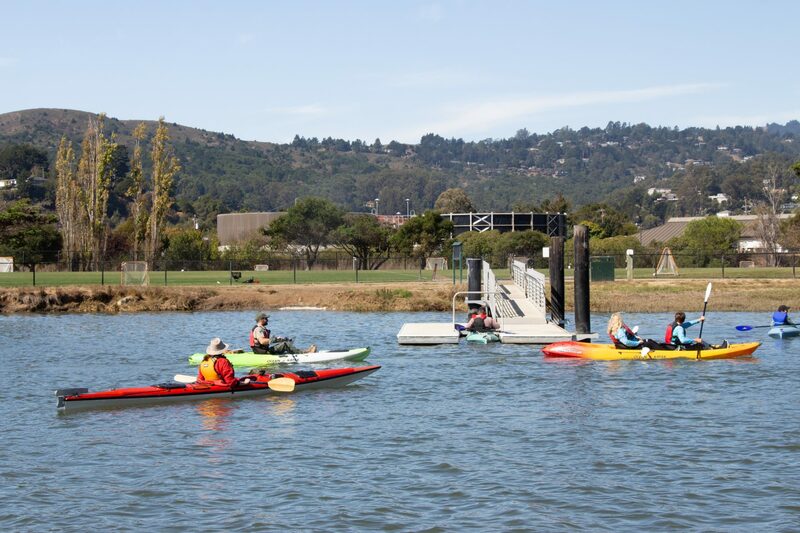 This site also serves as an excellent destination for boaters launching from other locations. 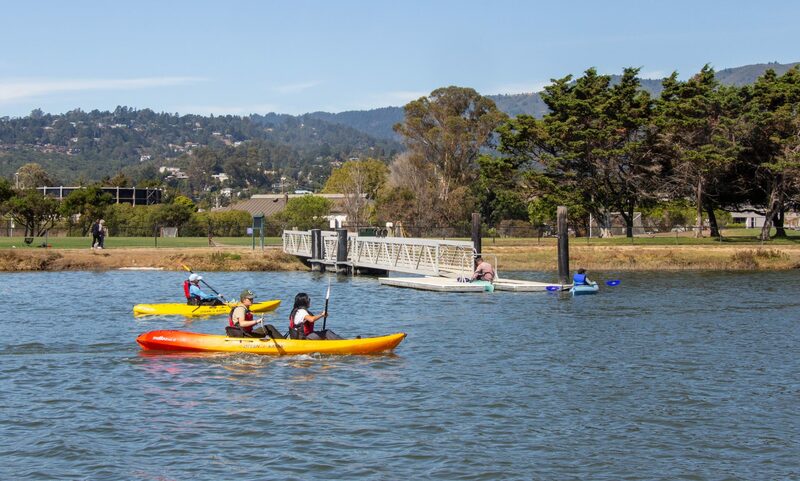 To access the launch from Highway 101, take the exit for CA-1 towards Mill Valley/Stinson Beach. 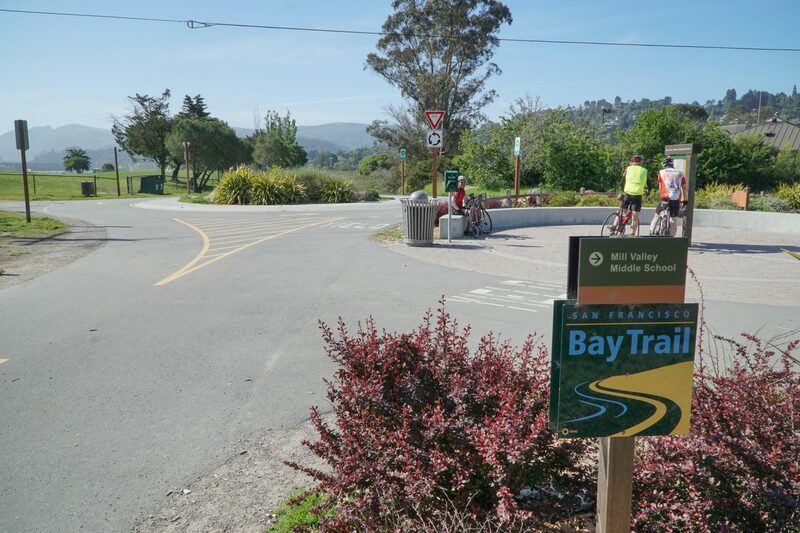 From CA-1 take Miller Avenue, then turn right onto Camino Alto and right onto Sycamore Avenue. 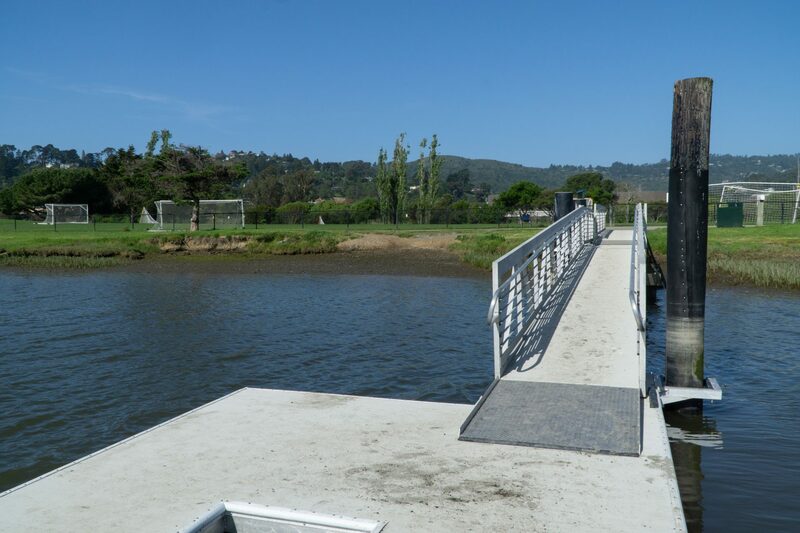 The closest parking area to the boat launch is at 498 Sycamore Avenue. 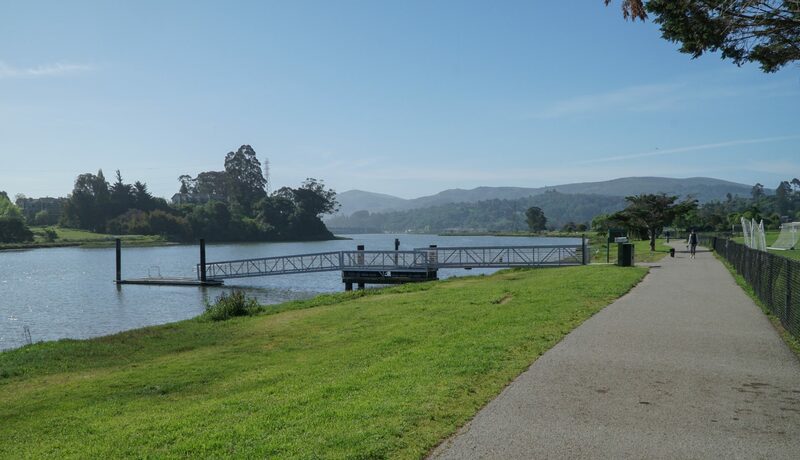  The boat launch facilities are located approximately 0.15 miles from the parking area. 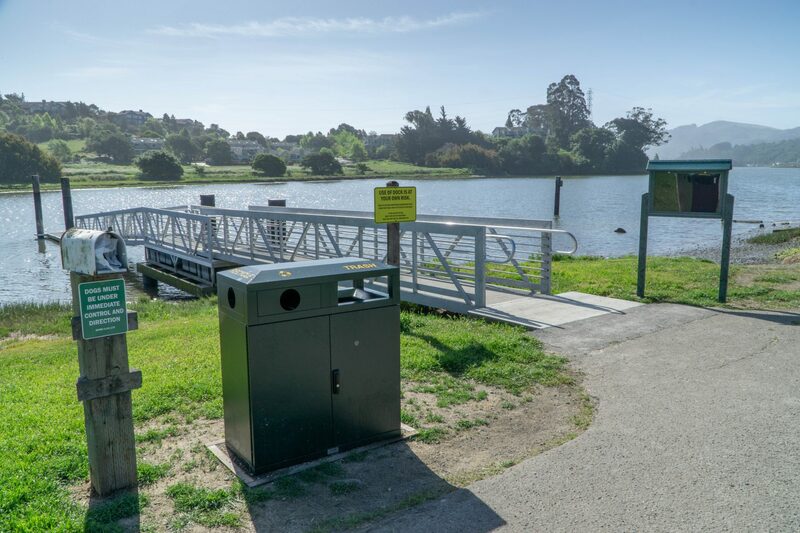 The road to the boat launch has streetside parking and there is a formal parking area located behind the Mill Valley Sewage Treatment Plant. 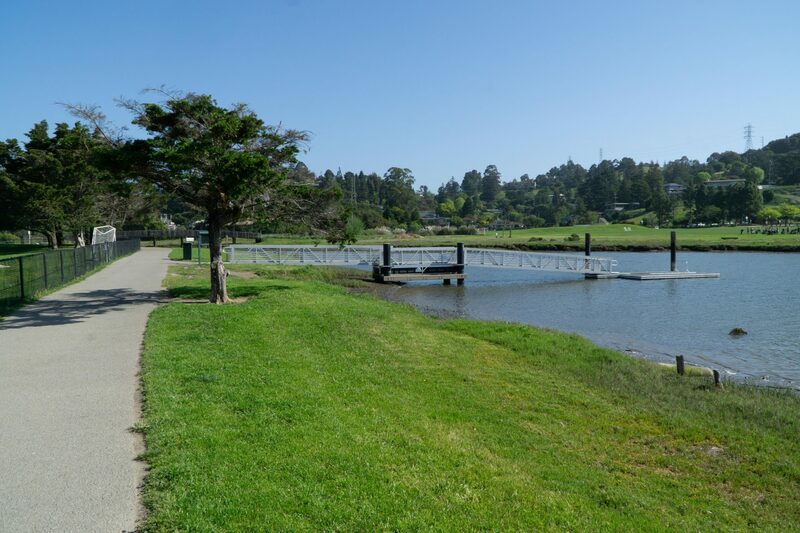 The Mill Valley Sewage Treatment Plant’s public restrooms are open during daylight hours. 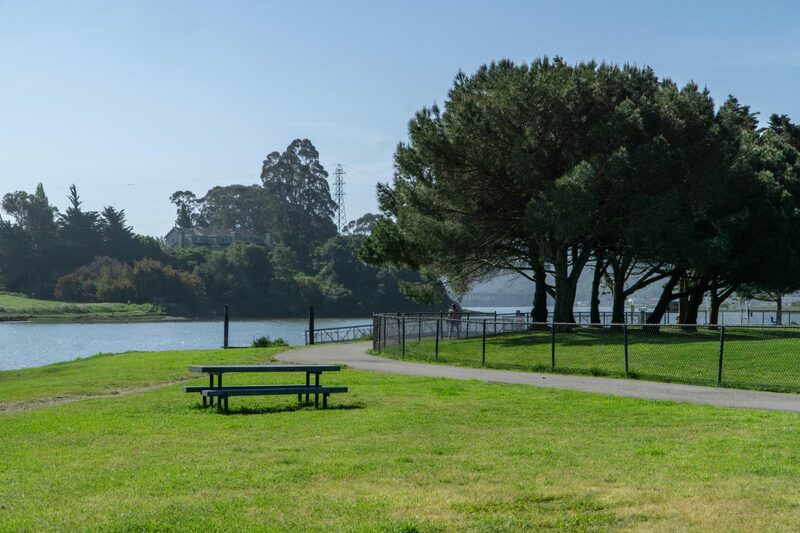 Amenities at Bayfront Park include picnic tables, drinking fountain, Bay Trail, grass lawns, a fenced dog park, and sports fields. 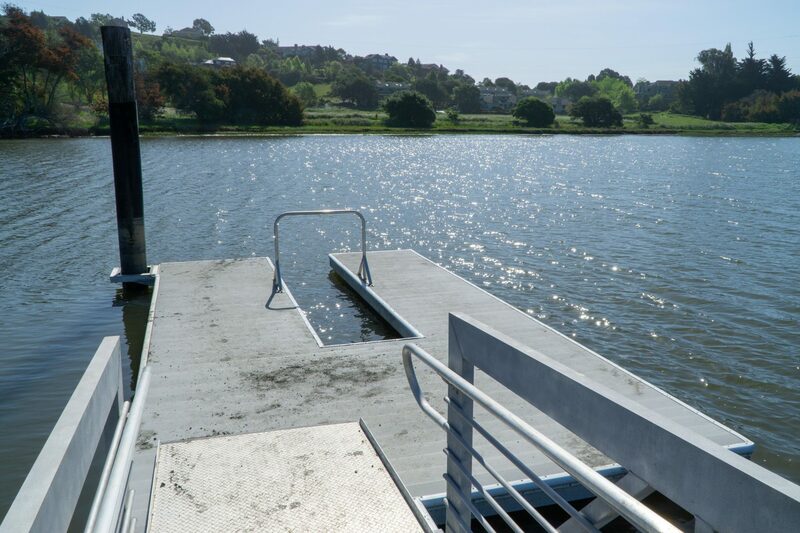 The dock, gangway, and path of travel are designed to be ADA accessible. 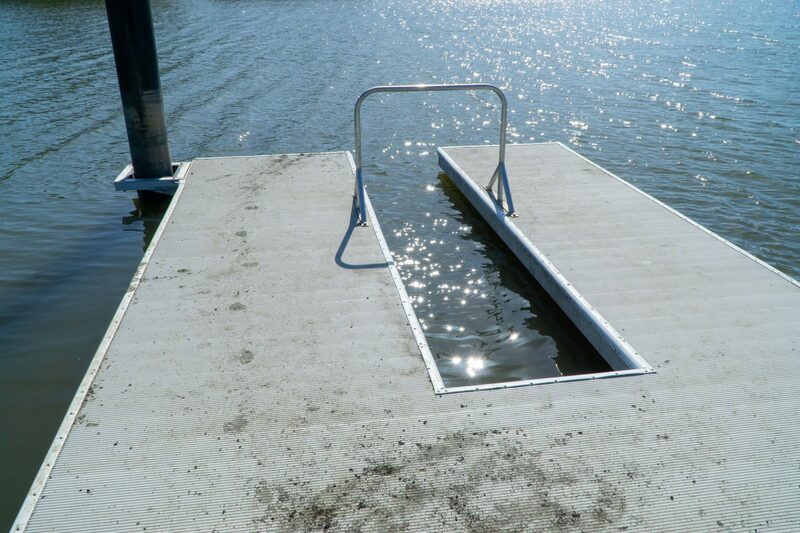 There is a rest landing on the gangway and all hinges feature transition plates. 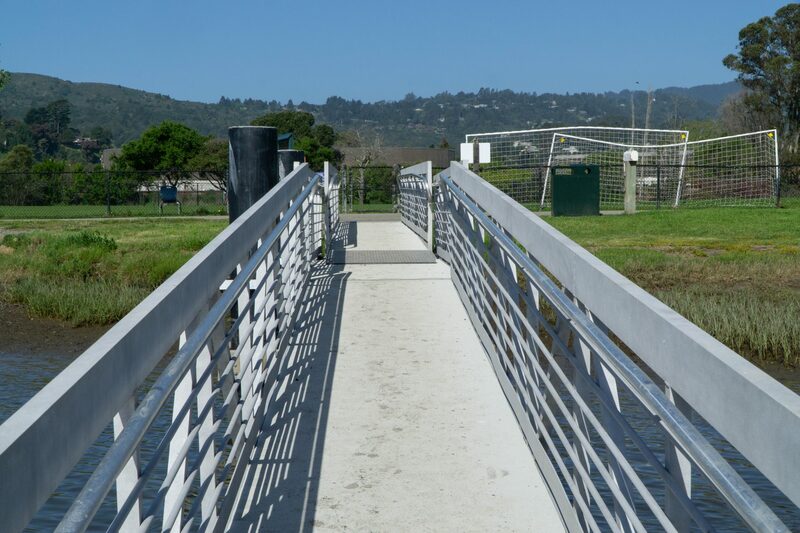 The site has two ADA parking spaces at the trailhead that leads to the launch. 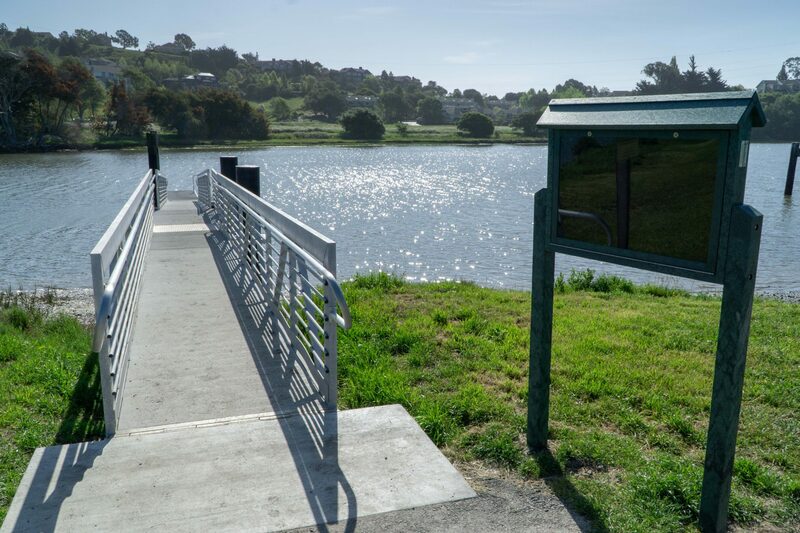 Accessible restrooms are located at the Mill Valley Sewage Treatment Plant, which is open to the public during daylight hours. 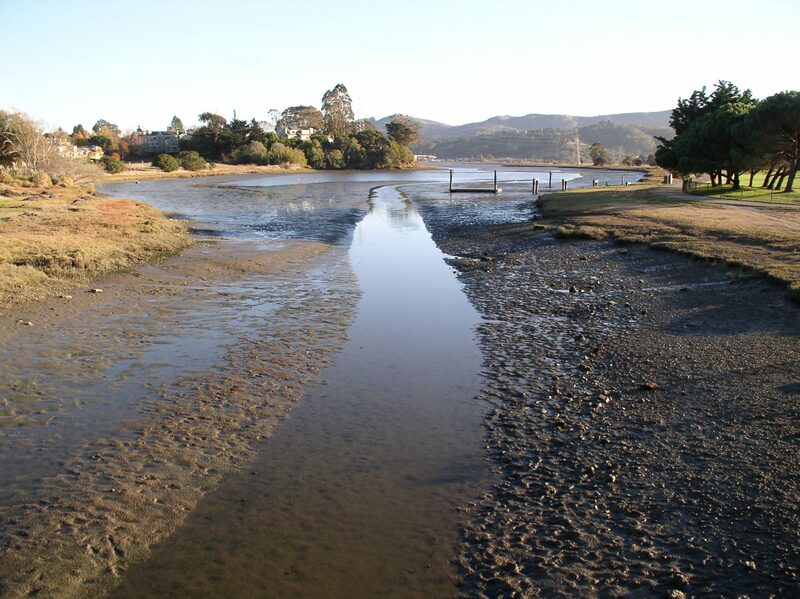 Low tides can expose extensive mudflats at the site. 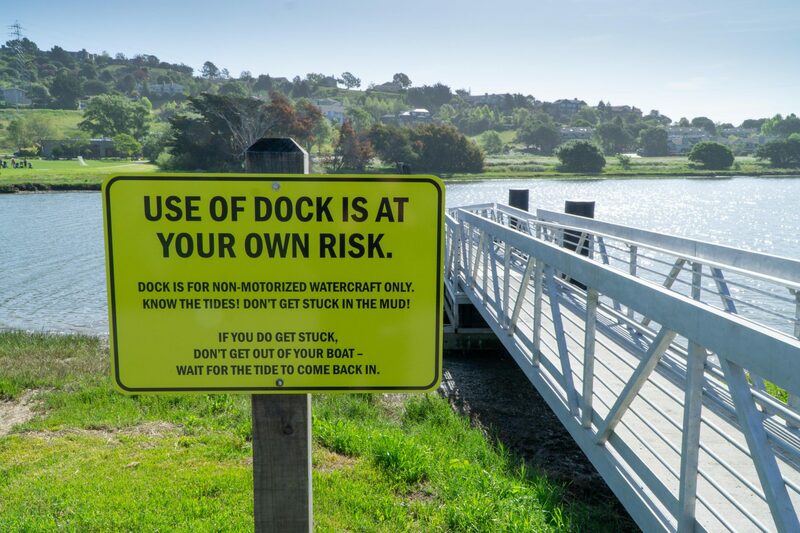 Existing signage warns that mudflats can present hazards to use at low tides and encourages boaters to stay in their boats if stuck in the mud. 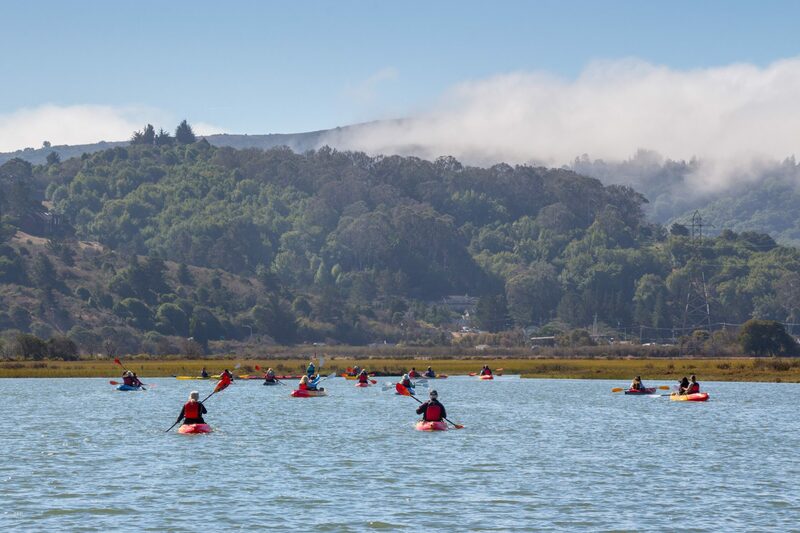 There are active heron rookeries located within tow miles of the launch, near the mouth of Pickleweed Inlet. 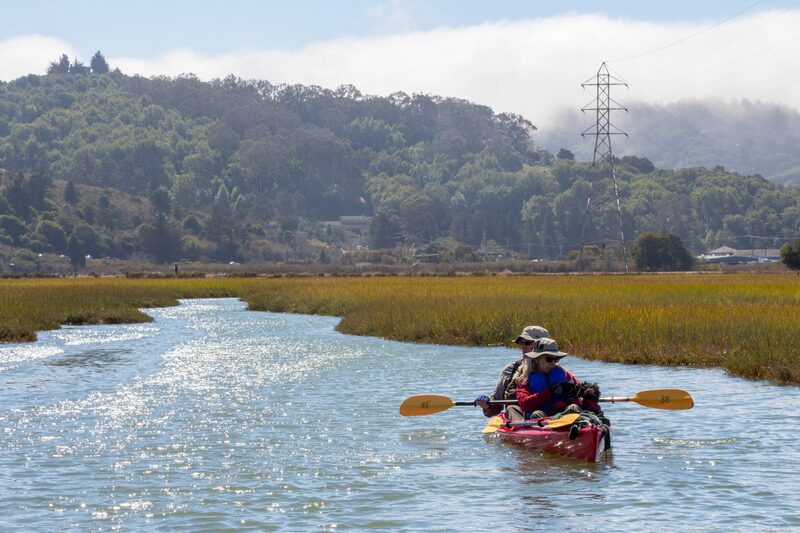 Additionally, Ridgway’s rail have historically been present in the marshes north of the launch, so paddlers are advised not to paddle north of the bridge. 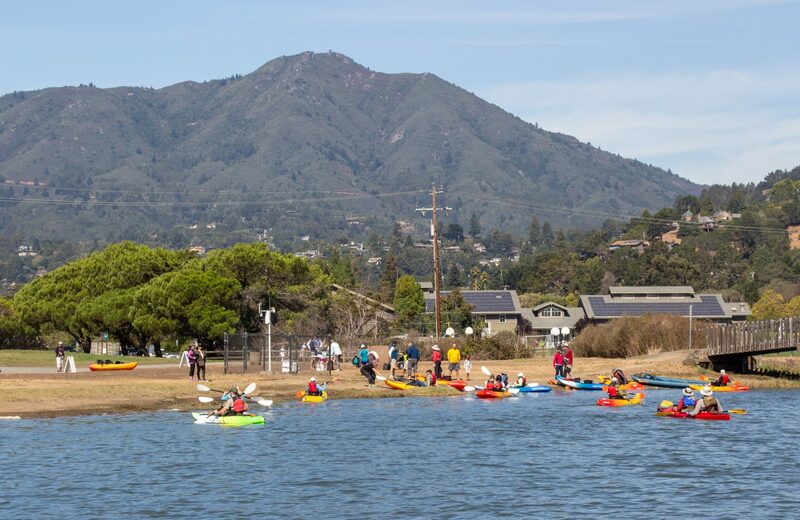 Richardson Bay is also very important for rafting birds, particularly during winter months. 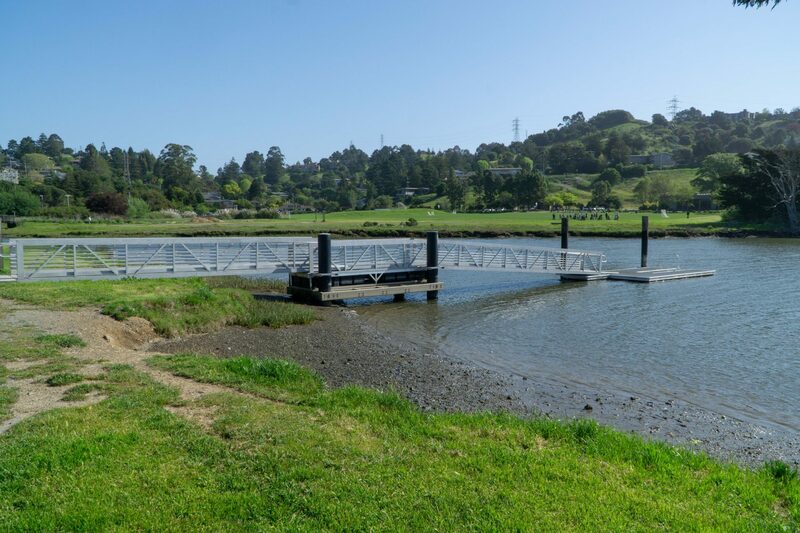 The Richardson Bay Audubon Sanctuary is located approximately 2 miles to the southeast. 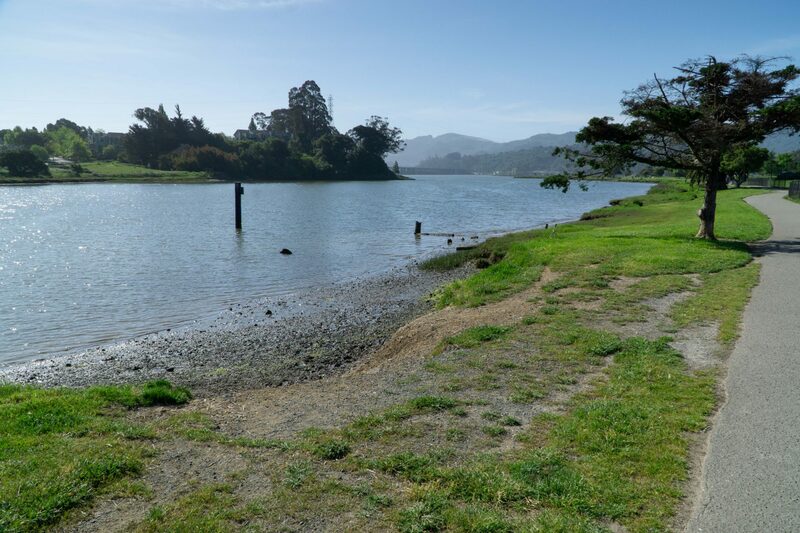 The area east of Strawberry Point and along Richardson’s Bay Park is off limits to boaters from October to March to protect migrating birds. 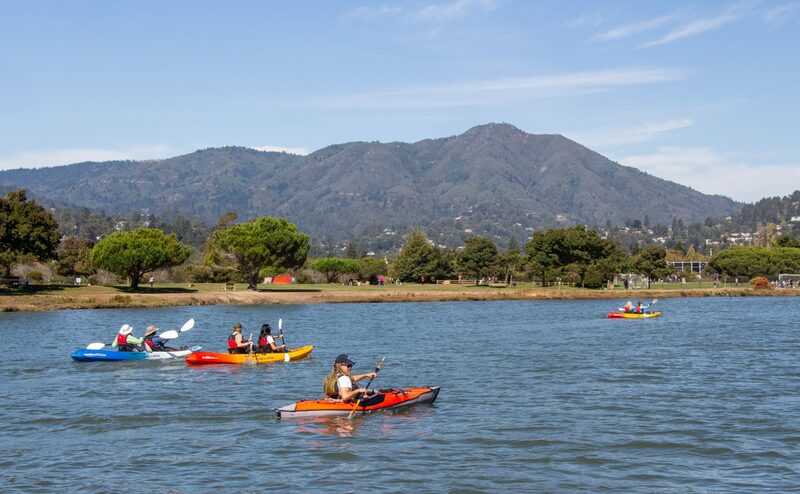 Paddlers are advised to pay attention to wildlife behavior and if you notice them moving away, observing you, or fidgeting, you are too close and should quietly back away. 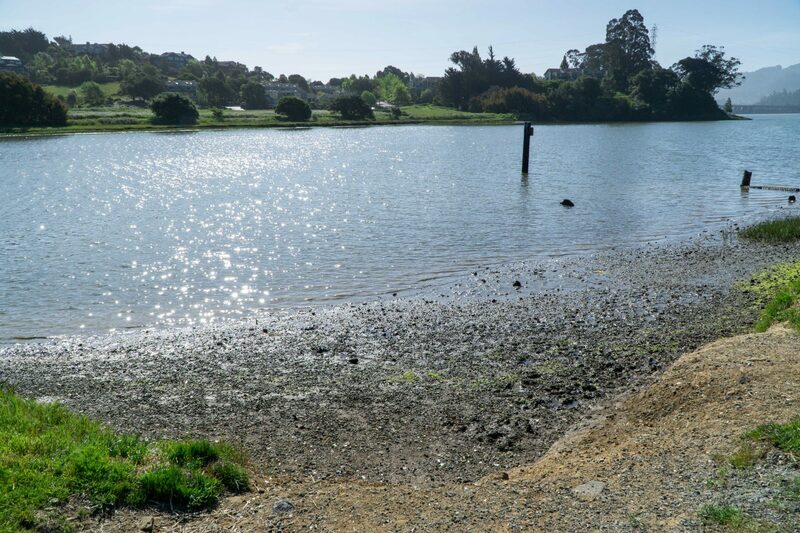 Zero tide. 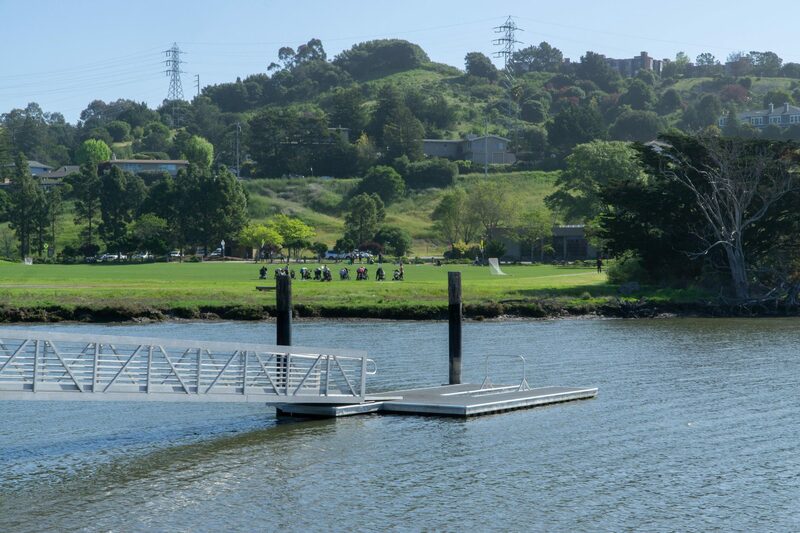 Photo taken prior to construction of new dock. 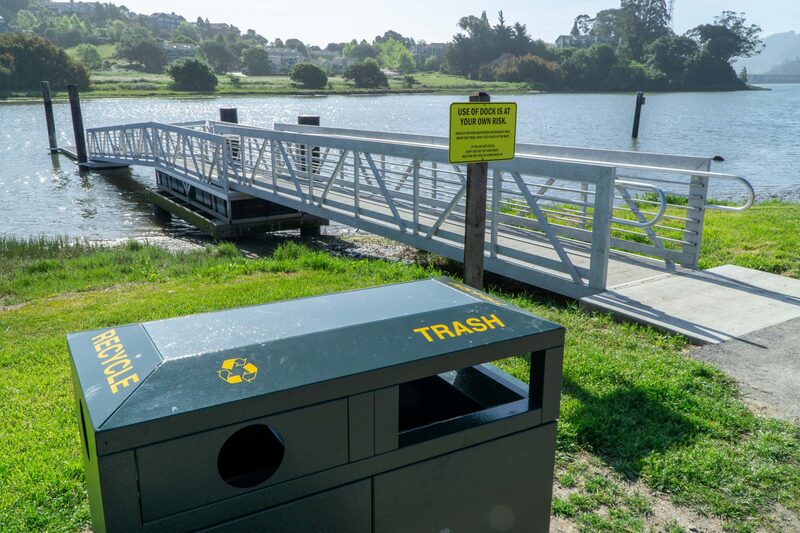 Credit: BASK.